A patient was given "medical air" instead of oxygen during their care at a hospital, an investigation has found. Medical air, which contains 21% oxygen and is likened to atmospheric air, is normally used to drive ventilators and power surgical equipment. Bosses at Reading's Royal Berkshire Hospital launched an investigation after the patient was given the wrong air supply in December last year. The patient was not harmed due to the error, a hospital spokesman said. However, they added the mistake was on the list of "never events" which should not happen. "A full investigation was carried out and, like many other hospitals, the RBH has now capped off medical air on wards, apart from respiratory, to minimise the chances of human error," the spokesman said. 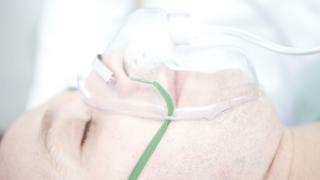 The Local Democracy Reporting Service said an NHS report from 2016 outlined that patients have died or suffered "serious harm" after being inadvertently given medical air instead of oxygen. Berkshire West Clinical Commissioning Group said awareness sessions had taken place on all hospital wards with piped air, while air flow meters had been removed from wards. Nurse director Debbie Simmons said the hospital had responded "promptly and robustly" to the incident.